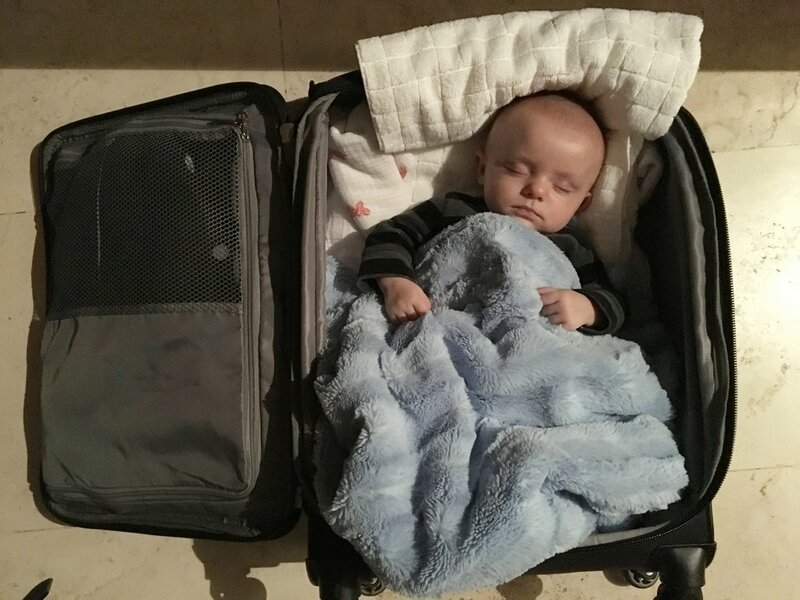 Why carry a heavy crib or pack ‘n’ play when you can BYOB? 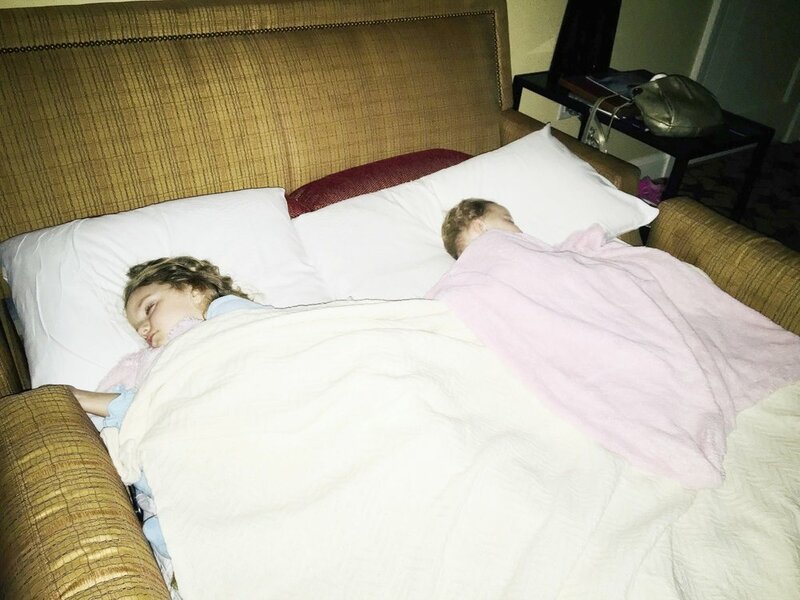 When traveling farther afield, build your own comfy, cozy kid beds. Then break out a beverage to celebrate sleeping success. For smaller babies, make a snug and safe snoozing spot. Newborns fit nicely in an armchair turned towards the wall or in a suitcase (towel pillow optional). Bigger babies and todds need a little more structure. Borrow a pack ‘n’ play upon arrival or create a crib with cushions so they feel secure and can't climb out. Or push a chair and ottoman together to create a big-kid bed they can stretch out in. Request extra towels and sheets so you can create a clean, mini mattress and tuck them in. For more then one kid, make a nest on the floor or request a pull-out couch or roll-away bed they can share. If your little ones are prone to rolling, create rail guards with pillows or cushions. If you need to separate siblings, put a pillow or two between them. To complete your bed build, wrap a window curtain around it. This creates a separate cocoon so kids can’t see you or each other. It might reduce the noice they hear, too. If you’re worried about the sun waking up your sweetie in the morning, return the curtain to the window to block it. Then break out your beverage to celebrate the snoozing. Cheers!